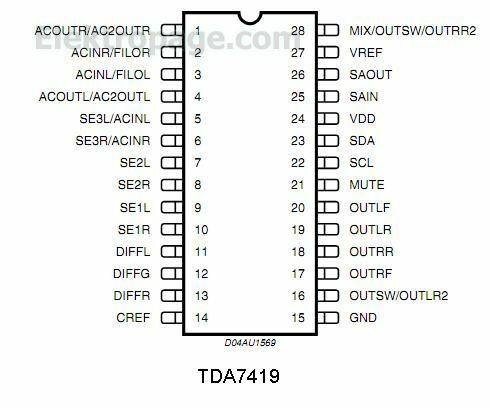 The TDA7419 is a high performance signal processor specifically designed for car radio applications. The device includes a high performance audioprocessor with fully integrated audio filters. The digital control allows programming in a wide range of filter characteristics. By the use of BICMOS-process and linear signal processing low distortion and low noise are obtained.